From celebs ‘oil pulling’ (swishing oil around the mouth for twenty minutes) to earth mothers smothering it across dreadlocked hair it seems jars of Coconut Oil are flying off the shelves. 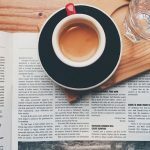 Forget the scaremongering that says it’s high in saturated fat and therefore bad for you (A recent study by a team at Cambridge University analysed data from more than 600,000 participants in 18 countries and found that there is no link between saturated fat consumption and heart disease). 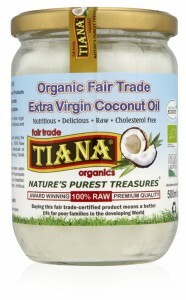 Raw Extra Virgin Coconut Oil is rich in lauric acid; one of the main components of breast milk (so great for immunity). It’s also made up of caprylic acid, a fatty fat, which contains antifungal and antibacterial properties to boost the immune system and it’s a wonderful ‘functional food’ which contains medium chain triglycerides (MCT’s) which have been proven to have therapeutic effects. It’s great for joint function – so athletes love it. It’s a great addition to any athlete’s nutrition programme because of the high concentration of medium-chain fatty acids, which are metabolised and converted into energy. It’s even thought that Coconut Oil has a beneficial effect on Dementia and several brain disorders. 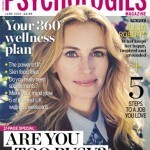 Dr Bruce Fife is the pioneer of studies on Coconut Oil and Alzheimer’s. In his book ‘The Coconut Oil Miracle’ he claims that this uniquely curative oil has innumerable health benefits ranging from disease prevention to anti-ageing. In fact he deems it ‘the Perfect Food’. It’s suggested that a spoonful a day can have a great effect on your overall health. You can eat it by the spoonful, use in nutritional drinks or in porridge. It’s great for cooking because it doesn’t degrade at high temperatures unlike most other oils. Be warned though, you will see that prices vary and not all Coconut Oil is the same, poor quality oil won’t give the nutritional benefits. It’s essential that Coconut Oil is only ever first cold pressed at low temperatures below 40°C from large, ripe coconuts, as they are highly nutritious and contain good coconut fat, protein, antioxidants and vitamins including Thiamin (B1), Riboflavin (B2), Niacin (B3), Pantothenic Acid (B5), vitamin E, vitamin B6 and minerals such as calcium, iron, magnesium and potassium. These nutrients can be lost during other extraction methods, such as expeller and centrifuged, so it is important to know the production process involved. It may surprise you to know that many brands of Coconut Oil are expeller pressed from desiccated coconuts which creates extreme heat, this is cost effective and high yield but clearly will have lost many of the nutrients. Some use fermentation where the coconut cream is pressed out from the white flesh. This cream is placed into containers and left to ferment for up to 36 hours. During this time the oil separates, before it’s then heated to remove moisture and filtered. Centrifuged methods are popular too, coconut is placed in a high speed centrifuge that rapidly spins (at high temperatures) which accelerate the separation of oil and water – but this method results in higher water content and makes the oil prone to oxidisation. IS IT REALLY RAW? 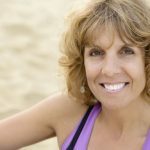 – To truly reap the benefits Coconut Oil it must be raw! If a Coconut Oil is produced using heat up to 60°C it isn’t raw and you will not get the essential nutrients, such as lauric acid, that only raw coconut can provide. SAFE EQUIPMENT – Poor quality Coconut Oil brands use cheap non-food grade equipment for production which in turn exposes the body to harmful free radicals resulting in a metallic after taste. COLD PRESSED FROM ORGANIC RIPE COCONUTS – Coconut Oil should always be cold pressed from the finest, organic, large and ripe coconuts as these have the best nutritional content. CHECK THE MOISTURE CONTENT – It should be below the maximum of 0.2%. Higher moisture content in virgin coconut oil will make it rancid (or oxidised) within 2 months. SUSTAINABILITY – Fair Trade is highly important and certification guarantees fair terms of trade and fair prices for producers and supports democracy and decent working conditions. So the absolute best is Raw Cold Pressed Virgin Coconut Oil from fresh coconuts. 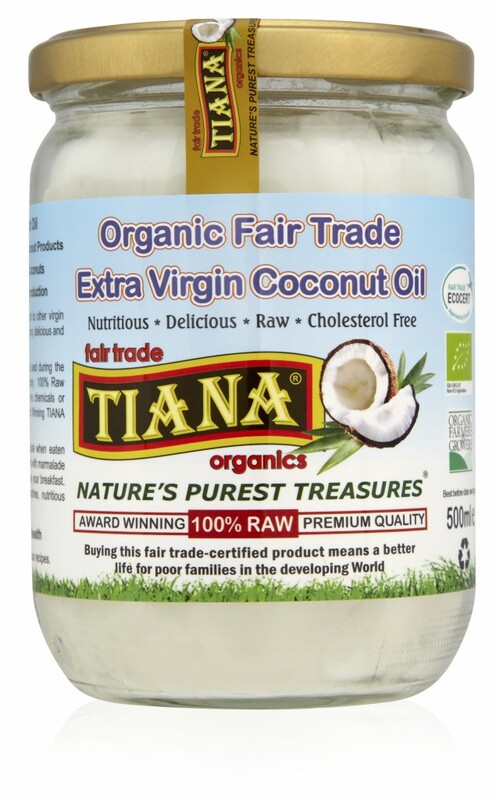 I’m a big fan of TIANA Virgin Coconut Oil which is 100% cold pressed only from fresh mature coconuts at ambient temperatures without additional heating. Unlike some other oils, it’s stored in glass jars and can be reheated without producing harmful free radicals. It’s not just Coconut Oil either, you can enjoy the benefits of Coconuts in many guises, and the new on trend drink is Coconut Water, (great for rehydrating, high in electrolytes and naturally sweet – yet nothing added). You can now get Coconut Butter to cook with (hubby’s happy because it doesn’t taste of anything – he didn’t appreciate coconut fried egg!). There’s also ‘spreadable coconut butter’ brilliant for anyone who wants a dairy free spread. For anyone who has wheat or gluten intolerance there’s the naturally wheat and gluten free Coconut Flour that’s perfect for baking. 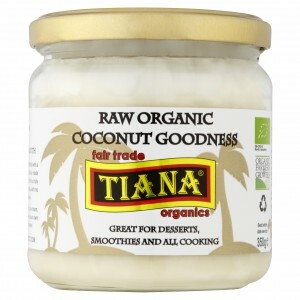 A new product just out last year is Tiana Coconut Goodness, it’s organic coconut flesh in a jar, you can use it to make coconut cream or yummy desserts. My current new best friend is the brilliant Raw Organic Coconut Nectar that looks and tastes exactly like brown sugar (sssh don’t tell my kids it isn’t sugar!). My motto is ‘Don’t put anything on your skin that you can’t eat’, so as skincare it ticks all the boxes. Coconut Oil may seem tricky to apply, as in cold weather it solidifies, but once applied it absorbs easily, isn’t greasy and is beneficial for all skin types. It can help to heal wounds, act as an after-sun soother and reduce the appearance of stretch marks and wrinkles. Watch this video of Dr Bruce Fife, today’s pioneer of using coconut oil to assist with memory loss and Alzheimers, talking about research into this.